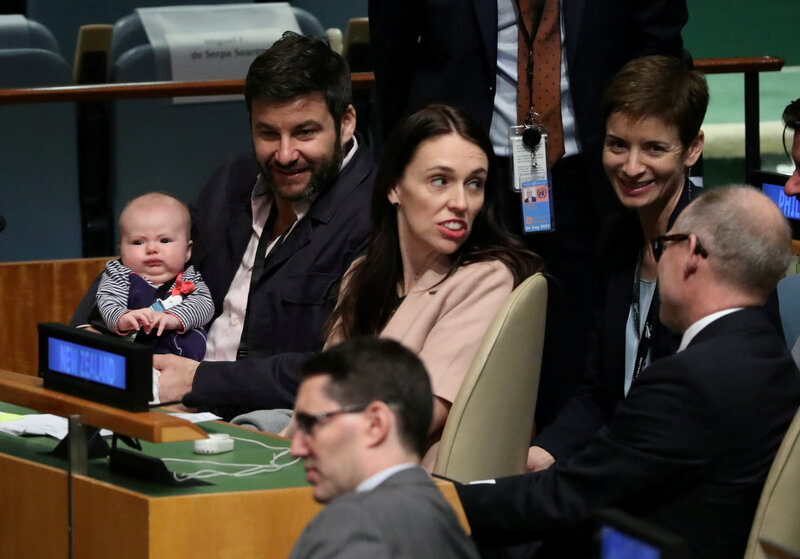 UNITED NATIONS (Reuters) – With a mock security pass that lists her as the “First Baby” of New Zealand, 3-month-old Neve Te Aroha made her United Nations debut on Monday when her mother – Prime Minister Jacinda Ardern – spoke at a peace summit in the General Assembly. 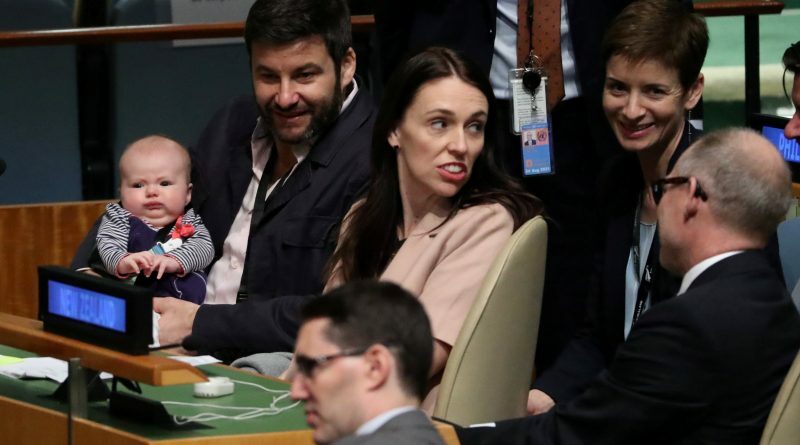 Her partner Clarke Gayford, who is the baby’s full-time caregiver, sat with the New Zealand delegation and held Neve as Ardern spoke. 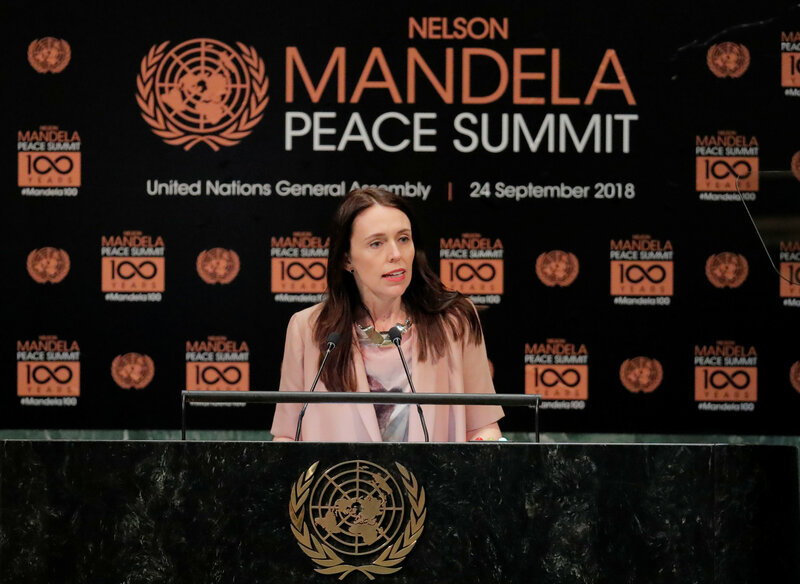 Ardern, 38, is only the second elected leader to give birth while in office, after Pakistan’s Benazir Bhutto in 1990. 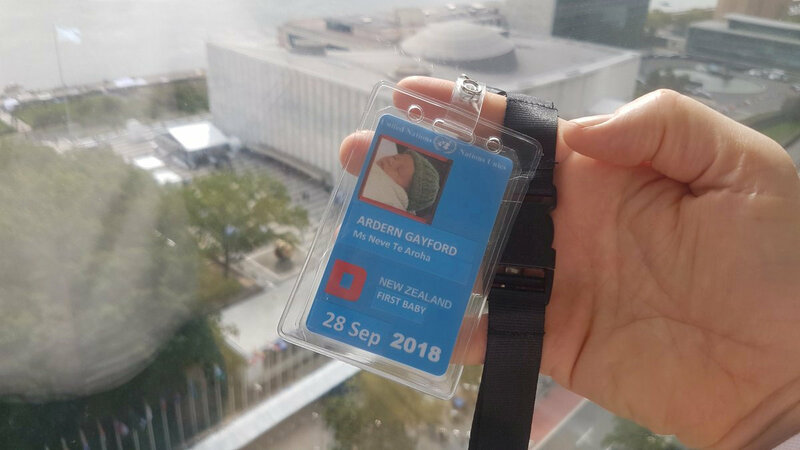 Gayford posted a photo on Twitter earlier on Monday of Neve’s security pass for the annual gathering of world leaders in New York this week. Ardern is her country’s youngest premier and the first to take maternity leave while in office. 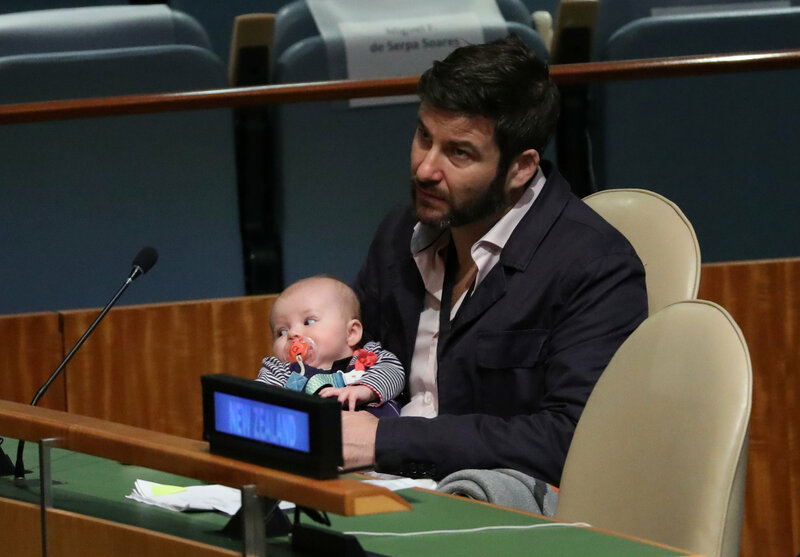 The United Nations was delighted to see baby Neve in the General Assembly hall, U.N. spokesman Stephane Dujarric said. 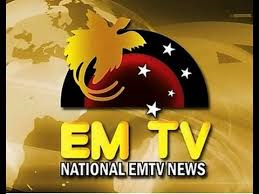 “Prime Minister Ardern is showing that no one is better qualified to represent her country than a working mother. 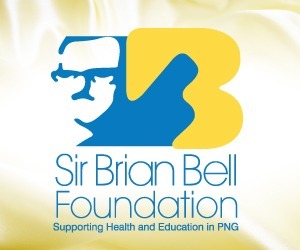 Just 5 percent of the world’s leaders are women, so we need to make them as welcome here as possible,” he said.